A quality historic restoration job can transform an old and crumbly building into a work of historic art. It takes time, money, and careful planning to pull off a high-quality restoration but it’s worth it. Taking shortcuts can lead to bigger problems down the road, while taking away from the value of a historic structure. A historic restoration entails recreating certain features and characteristics of a building from a certain period. While a historic rehabilitation entails making improvements to a building so that it functions as useful. Restorations are firmly rooted in bringing history back to life, which is why reusing materials is ideal whenever possible. You may not be able to reuse or salvage everything, but make use of anything you can from the original structure. From masonry experts to history buffs, there are numerous experts who can help weigh-in on a historic restoration project. There are many things to take into consideration, starting with the original look and intentions of the building. A historian can fill you in on facts you might otherwise not know, helping you better restore the building to its original glory. While an experienced mason can test existing masonry, and find the appropriate match for long-term durability and a seamless finish. A historic structure report is prepared prior to conducting any physical labor. It is a common step in restoring old churches, libraries, or public buildings, but it can also be used for residential restorations. A report may detail a single building or multiple buildings on one property. The report typically includes things like site or landscape features, along with detailing on the building such as decorative brickwork. The document provides a solid plan for preserving, rehabilitating, restoring, or reconstructing a structure. It also includes specific dates for completing the work. Budget, design, tools to be used, and other important aspects are included in the report as well. The report entails the history of the building, how it was used in the past, and how it will be preserved through the restoration. In addition, previous work conducted on the property should be well-documented. If you’re on a budget you don’t have to conduct an entire historic restoration at once. Break up one big project into smaller side projects to accommodate your budget. Instead of taking short cuts or buying cheap materials, you’re better off to start small and do the job right. Important areas to start with include the roof, masonry, and windows. These are the components of a home or building that keep it stable and safe. Check fireplace and chimney mortar, as well as the mortar on the actual structure of the home or building. Weak, crumbly or cracked mortar should be fixed right away. By fixing these elements you save the building from further deterioration. Other projects can wait until funds are available. It’s important to test existing mortar to see what it was made of. In the past, all types of materials were used to produce mortar. Replacement mortar should match original mortar as closely as possible. Mortar that is stronger than the original mortar will put pressure on the building and can cause spalling and other issues. Color is another important focal point, as different mortar makeups result in uniquely colored mortar. The goal is to make new mortar as similar in color, strength and context as the original mortar. 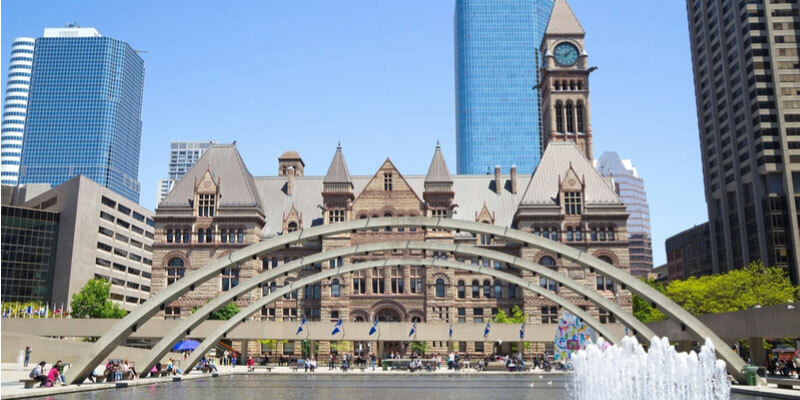 We have extensive experience restoring historic homes and buildings in Toronto. You can count on our knowledge and skills to complete long-lasting quality renovations on buildings old and new. Contact us today for a quote!